I’m heading off to Poole tomorrow to the Land of Lush Cosmetics. I’m taking my mini-me (Ava) for what looks to be a fun couple of days. 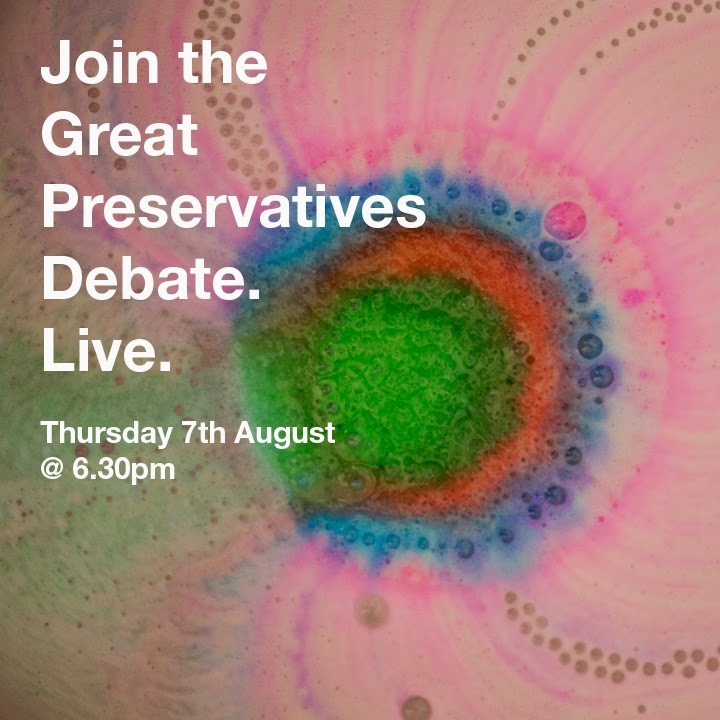 Tomorrow evening at 6.30pm I’m hosting a debate about Preservatives with Mark Constantine, Helen Ambrosen and Jack Constantine. Are you worried about preservatives in your products? Do you care about parabens? Or are you really not concerned? Hope to hear your questions tomorrow!